Why Does The BOPP Jumbo Roll Smell? (1) Base material: The base material is the most basic component in the glue and is also one of the components of the BOPP Jumbo Roll. (2) Curing agent: A curing agent is a substance which hardens a base material into a solid and is a main component of the glue. (3) Toughening agent: The tonicizer can increase the toughness of the adhesive layer, improve the impact resistance, peeling resistance and bending resistance of the adhesive layer, and reduce the heat of reaction and shrinkage during curing, and is also one of the components of the Bulk Packing Tape. (4) Diluent (also known as solvent): The diluent can reduce the viscosity of the glue, making it easy to handle, and improving the wettability and fluidity of the glue. (5) Filler: Adding filler to the glue can improve the mechanical properties of the glue and is also one of the components of the transparent tape. A little bit of scent from the high-quality scotch tape is almost negligible and harmless to the human body. This is why many people use their teeth to bite without problems. The tape on the market is basically environmentally friendly, unless the inferior glue is used to reduce the cost, so the smell is large. Manufacturers have undergone rigorous quality testing and inspection during production, and everyone can use them with confidence. Of course, the scotch tape is very thin and light, and it is necessary for temperature control. Therefore, when using it, care should be taken to avoid it from being stored in direct sunlight and affect its use. 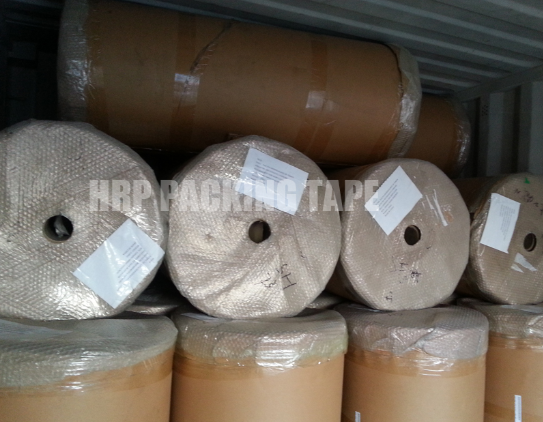 At the same time, it must be protected from moisture, because improper storage will also cause some odor in the tape. Next: What Kind Of BOPP Self Adhesive Printed Tapes Can't Be Bought?